The media reported this, with front-page headlines, on 27th July, but immediately and inexplicably turned about-face, and ridiculed him. Mr Moss was affronted, and began a series of legal actions, including a defamation case against the ABC. He pursued these actions relentlessly over a period of years, providing explicit details of the aborted collection job to the courts in the process. On 5th April 2012, The Expendable Project published the Candidate Sources Report. 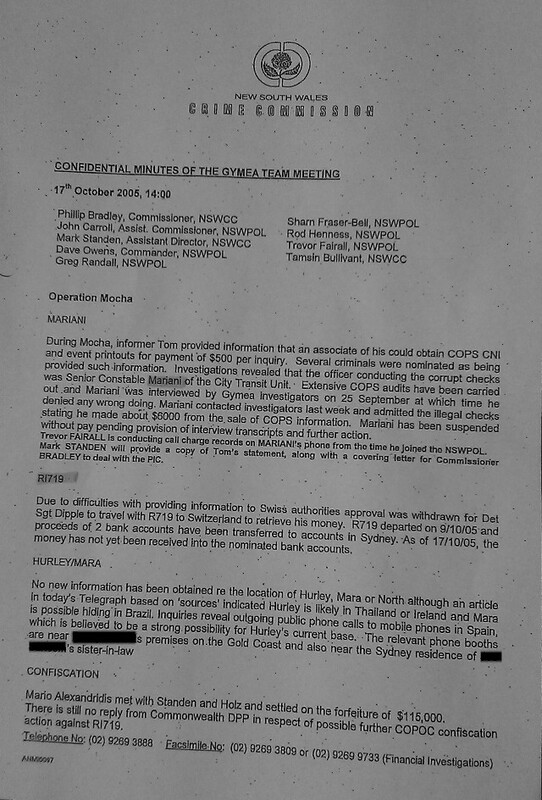 This document contained an extract from the minutes of a meeting of the New South Wales Crime Commission (NSWCC) Gymea Team, which was attended by corrupt Assistant Director Mark Standen. The minutes revealed that the Crime Commission held a secret recording of Mr Moss discussing the marijuana collection with another person, John Robert Dunks. Dunks was a member of the Christopher Laycock gang, who the Police Integrity Commission had earlier presented as one of the most notorious corrupt police officers in Australian history (ref: the Cobalt Report). 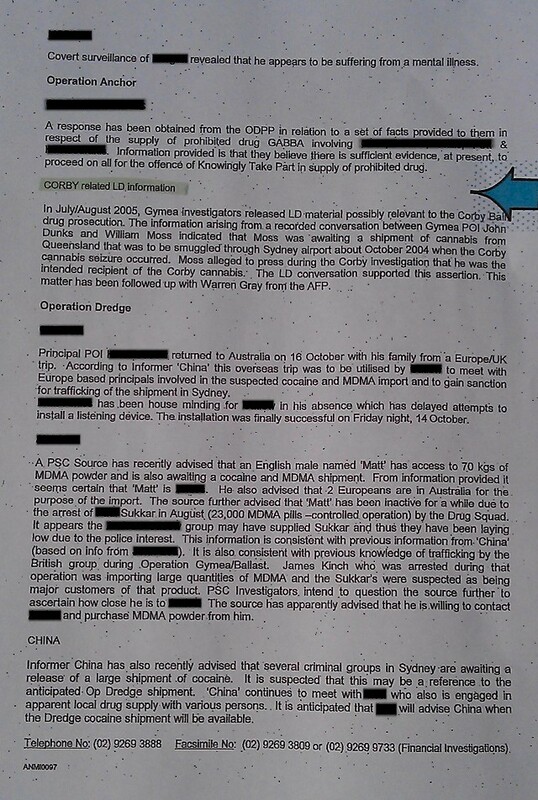 Note that Laycock wasn't jailed until the day after the Candidate Sources Report was published, almost seven years after the original Cobalt revelations. Following the presentation of a so-called blackmail list, by Laycock's lawyer, and a series of secret court hearings, he will serve as little as four and a half years. Accepting that the recording supported Mr Moss's assertions, and that it was directly relevant to the Schapelle Corby case, the NSWCC passed it to the AFP in 2005. The AFP remained silent, throughout both Schapelle Corby's ordeal, and Mr Moss's litigation. Within a few days of the extract being published by The Expendable Project, the ABC settled with Mr Moss. The full set of minutes, from the NSWCC Gymea Team, is presented below. 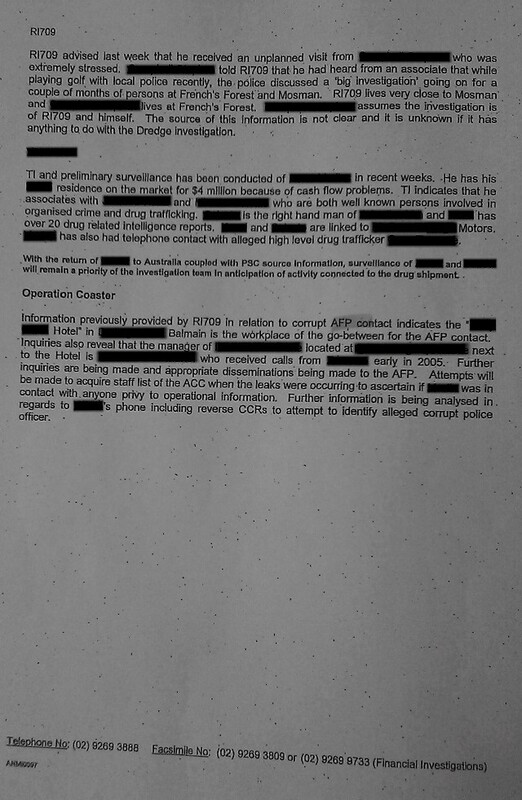 Given the endemic nature of AFP and NSWCC corruption, the names of a number of third party individuals, who are unconnected with the Schapelle Corby case, have been redacted. Note also, on the first page, the reference to an informant, code-named 'Tom'. 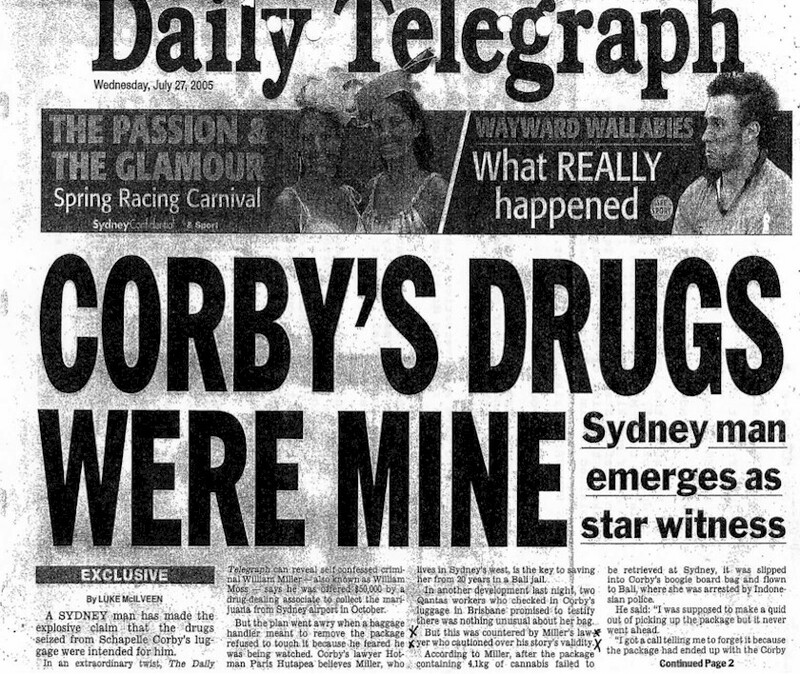 'Tom' was an integral part of the Sydney Airport baggage handler syndicate which was on duty when Schapelle Corby flew to Bali, yet he was never charged, and was allowed to keep $758,370 of the money he had accrued from the sale of cocaine. The NSWCC itself remains extremely secretive, and has rejected every effort to obtain further internal documentation through Freedom of Information legislation.